Luck finally ran out for a tiny dog in Australia known for terrorizing saltwater crocodiles. 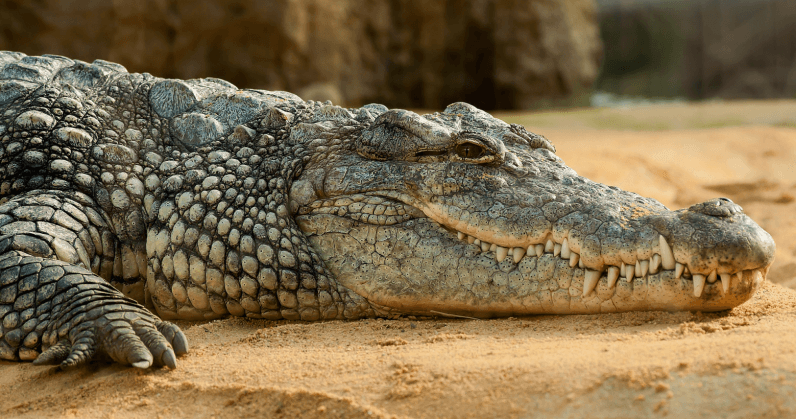 Pippa, a 10-year-old terrier was perhaps known for a series of viral videos showing the pint-sized dog chasing much larger crocodiles off the banks of the Adelaide River. In her remote Australian town, she had become somewhat of a folk hero in recent years. But as Pippa learned recently, luck never lasts. Kai Hansen, Pippa’s owner, told Australia’s ABC Radio that the dog was just doing what she did best: performing her favorite trick for a group of onlookers at the Goat Island Lodge. In a video captured by one of the onlookers, we see Pippa charging the sun-bathing crocodile, known as Casey, hoping to chase him off into the water as she’d done dozens of times before. Warning, this video contains graphic content of a dog being dragged into the water and eaten by a crocodile. This time, though, Casey wasn’t having it. The video shows the crocodile whipping its head toward the dog, before clamping down on it and dragging it off into the water. “It was something that had a high probability of happening sometime,” Hansen told the interviewer. As for Casey, Hansen says she has no ill-will toward the crocodile; he was just doing “what crocs do.” For anyone following the story, it’s Hansen, not the crocodile, that appears to be the real antagonist. Who lets their tiny pet chase a crocodile?